TOLEDO, Ohio, October 15, 2017 – SSOE Group (www.ssoe.com), a global project delivery firm for architecture, engineering, and construction management, announced today that eight of its employees earned professional certifications during the fourth quarter of SSOE’s 2017 planning year. Attainment of professional licensures and certifications is strongly encouraged at SSOE. In fact, the company covers the expense of preparation classes and exam fees as well as provides paid time off to take the exam. As an added incentive, once an employee has passed an exam, they are awarded a recognition bonus. A LEED professional credential, awarded by the U.S. Green Building Council (USGBC), signifies an individual is a leader in the field and an active participant in the green building movement. 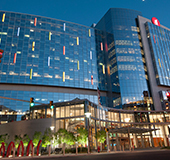 A LEED Green Associate (LEED GA) designation indicates an individual has a documented, up-to-date understanding of the most current green building principles and practices. Construction Manager-in-Training (CMIT) certification, awarded by the Construction Manager Certification Institute (CMAA), indicates an individual has successfully completed the CMIT exam and demonstrates competence in the practice of construction management. Suman Paneru, LEED GA, VDC / BIM Coordinator, recently earned his LEED GA credential upon successful completion of the exam, while also earning his CMIT certification. Suman graduated from Tribhuvan University’s Institute of Engineering with a Bachelor of Architecture and continued his education at Bowling Green State University, where he earned a Master of Technology Management in Construction Management. 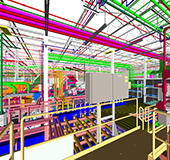 He specializes in various leading edge project management software applications, including Primavera P6, Navisworks, Autodesk Revit, and more. Suman works in SSOE’s Toledo, Ohio office and supports the firm’s global initiatives. Bill Boshell, Electrical, recently earned his OSHA 10-hour Construction Industry certification. Bill has an Associate of Applied Science in Engineering from Bevill State Community College and is currently working on a Bachelor of Science in Electrical Engineering at the University of Alabama. He works in SSOE’s Birmingham, Alabama office where he supports the firm’s healthcare, commercial, and education operations. Rocky Boshell, Electrical, recently earned his OSHA 10-hour Construction Industry certification. Rocky has an Associate of Applied Science in Drafting and Design Technology from Bevill State Community College. He works in SSOE’s Birmingham, Alabama office where he supports the firm’s healthcare, commercial, and education operations. Ehsan Iran-Nejad, LEED AP BD+C, VDC / BIM Specialist, recently earned his OSHA 10-hour Construction Industry certification. Ehsan has both a Master and Bachelor of Architecture from the Islamic Azad University of Mashhad. He has nearly 10 years of experience and specializes in 3D modeling and advanced technology. Ehsan works in SSOE’s Portland, Oregon office where he supports the firm’s basebuild engineering operations. Nicholas Lawson, Electrical, recently earned his OSHA 10-hour Construction Industry certification. Nicholas has a Bachelor of Science in Electrical Engineering Technology from the University of Pittsburgh at Johnstown. He has over 10 years of experience and specializes in controls and instrumentation. 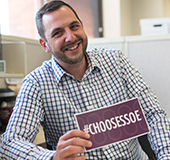 Nicholas works in SSOE’s Kalamazoo, Michigan office where he supports the firm’s food and consumer products operations. Cameron Snook, EI, Structural, recently earned his OSHA 10-hour Construction Industry certification. He has a Bachelor of Science in Civil Engineering from the University of Tennessee and specializes in structural analysis. 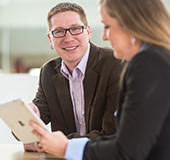 Cameron works in SSOE’s Nashville, Tennessee office where he supports the firm’s telecommunications operations. To receive an OSHA 30-hour Construction Outreach certification, each recipient must complete the OSHA 30-Hour Construction Industry Outreach Training Course. This course is a comprehensive safety program designed for anyone involved in the construction industry, but more specifically devised for safety directors, foremen, and field supervisors and provides complete information on OSHA compliance issues. 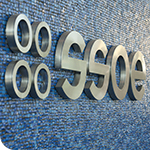 SSOE requires the OSHA 30-hour certification for all field and start-up employees. Joe Cherry, PE, FNSPE, Senior Process Controls Engineer, recently earned his OSHA 30-hour Construction Industry certification. Joe has a Bachelor of Science in Electronic Engineering Technology from the Ohio Institute of Technology. He has over 40 years of experience and specializes in generating engineering and construction drawings and specifications, along with PLC programming and commissioning. 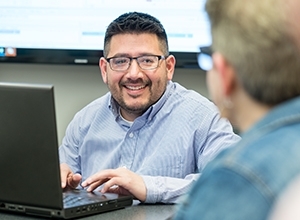 Joe works in SSOE’s Toledo, Ohio office where he supports the firm’s process controls and instrumentation operations, and also serves on the Ohio Society of Professional Engineers’ Leadership Board. Alex Henry, EI, Structural, recently earned his OSHA 30-hour Construction Industry certification. 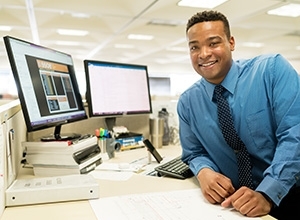 He has a Bachelor of Science in Civil Engineering from the Tennessee Technical University and specializes in providing code compliant solutions for construct-ability issues. Alex works in SSOE’s Nashville, Tennessee office where he supports the firm’s automotive manufacturing facilities operations.